As Christians, we often gloss over the basics of our faith. Rev. 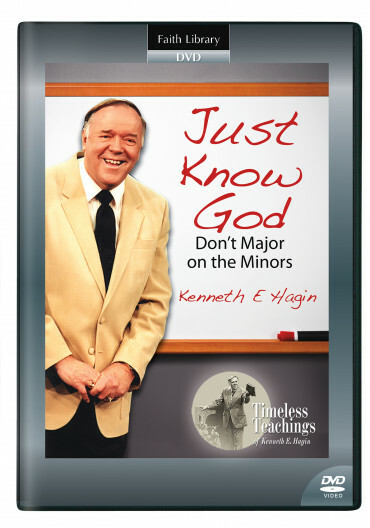 Hagin explains, though, that if we become grounded in the elementary principles of Christianity, we will be powerhouses for God. Are Minor Issues Becoming Major Distractions? As Christians, we often gloss over the basics of our faith and focus on minor issues. But when we are grounded in the elementary principles of Christianity, we become powerhouses for God. In this DVD of a message recorded on the RHEMA campus in 1983, Kenneth E. Hagin teaches on three areas that will put us over in every area of life. As we understand and apply these simple truths, we will develop faith strong enough to overcome any adversity.